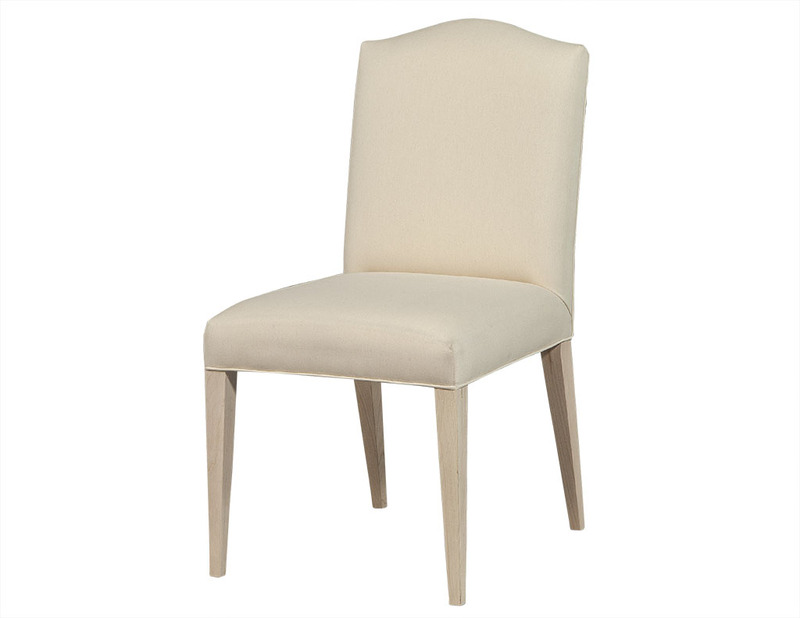 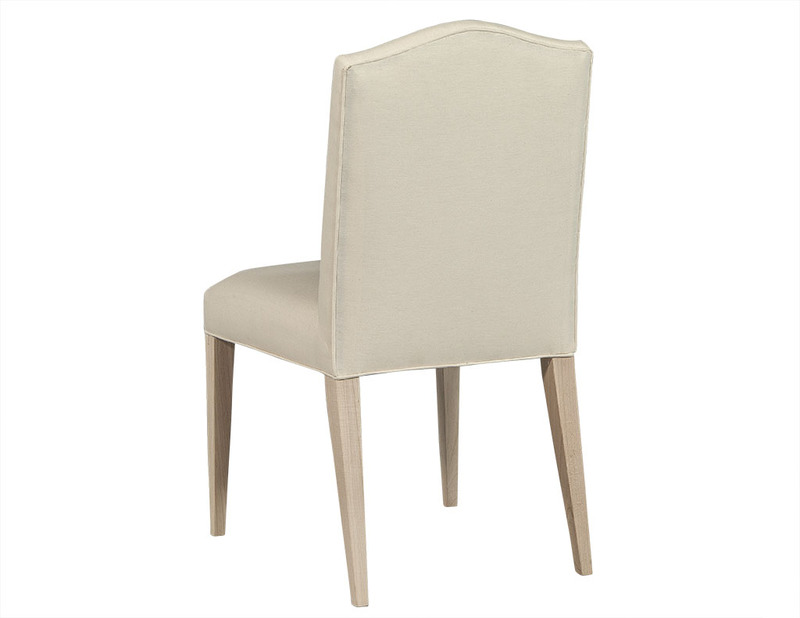 This transitional style side chair is made to order. 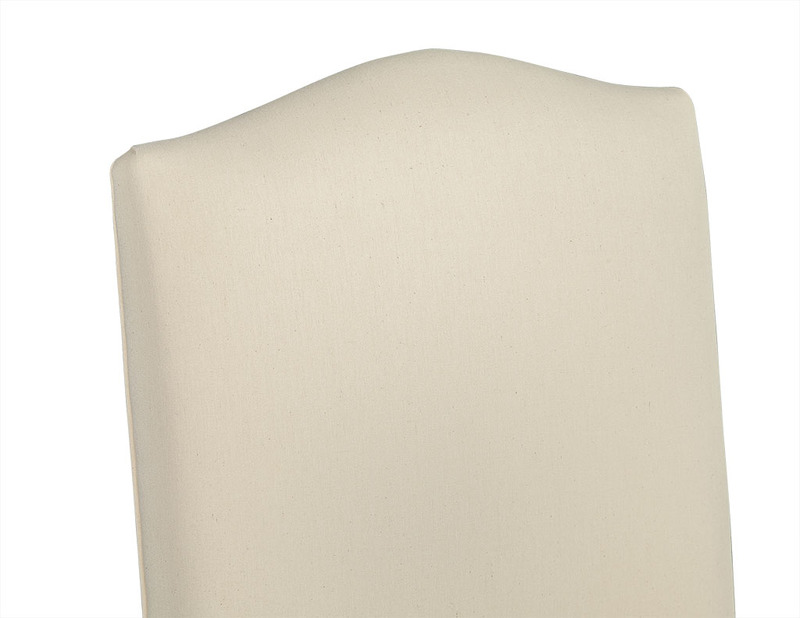 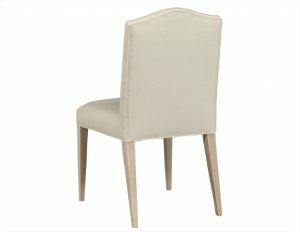 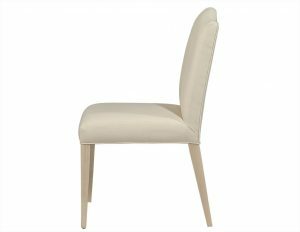 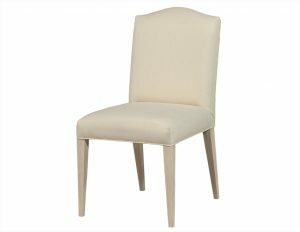 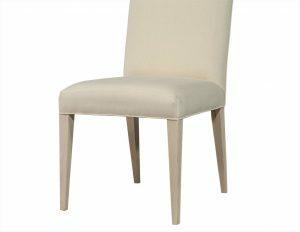 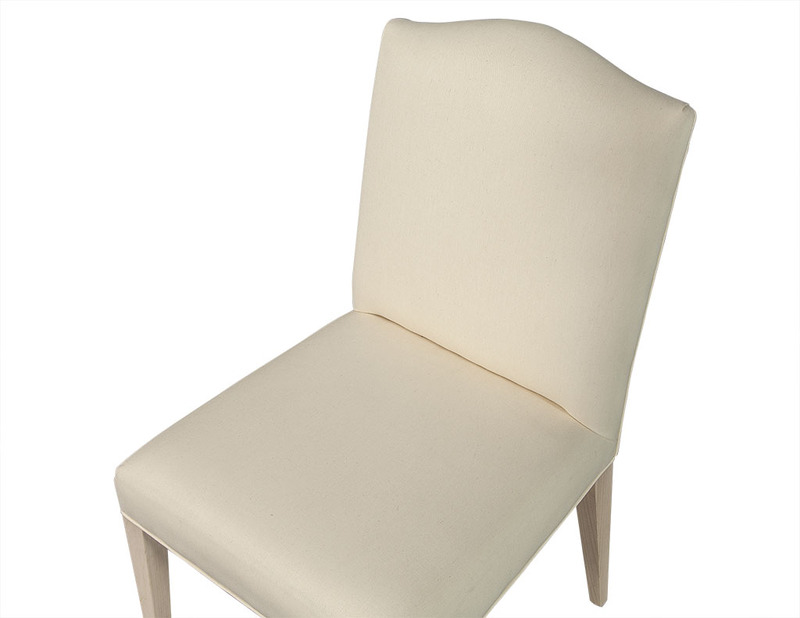 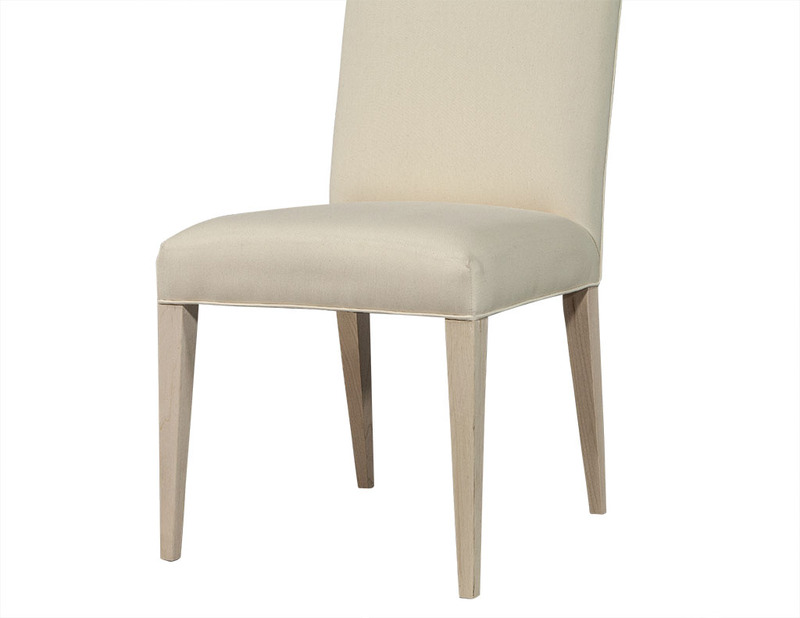 Crafted out of solid maple, this side chair has a decorative backrest covered in cream upholstery that is connected to the seat. 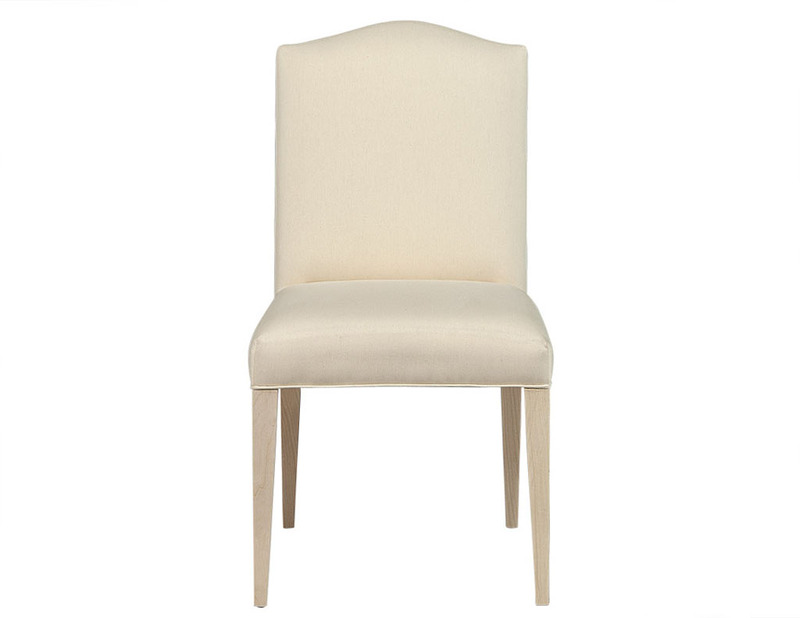 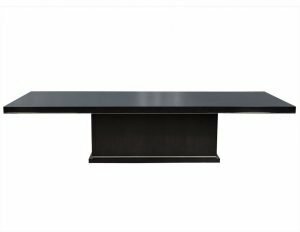 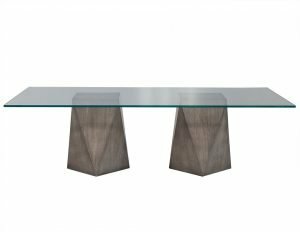 An understated yet classy piece perfect for a modern home.